Imbalances in the immune system cause MS, when rogue immune cells infiltrate parts of the nervous system and attack. The weapon used in this attack is inflammation. You can reduce this inflammation by rebalancing the immune system (see part 1), or by addressing the inflammation directly. Or, of course, by doing both. Most people think that the idea in reducing inflammation is to slow the progression of the disease. While that’s true, reducing inflammation should also help one of the major side effects of MS, namely, depression. There are quite a few research papers published specifically examining where the depression in MS comes from. Are MS patients depressed simply because MS is, well, depressing? Or is depression an actual symptom of MS? It now looks like depression is a symptom of MS, and inflammation is largely responsible for it. When it comes to reducing inflammation directly, I could go on for a few dozen pages and still just touch the tip of the iceberg. A lot of herbs are anti-inflammatory. And it can be overwhelming, faced with our vast pharmacopeia, to try and pick the best one. So let’s make this simple. Ignore the single herbs for the time being; look instead to the combination formulas. It’s hard to go wrong picking a combo formula. Anything from a reputable brand is going to be pretty good. Two particularly good ones at our store are Zyflamend, from the New Chapter company, and the anti-inflammatory we sell under our own brand. When choosing a combo formula for inflammation, don’t be daunted by the fact that many of them are marketed for arthritis. Also, don’t feel compelled to buy the super-expensive ones like Wobenzyme and Vitalzyme, based on an anti-inflammatory called serrapeptase, derived from silkworks, which is better suited to acute sports injuries. If you were to look to single herbs, however, I do like turmeric in this context. I always like herbs that are cheap, safe, and have myriad side benefits. And in one small lab study, turmeric appeared to slow the progression of the disease. Another newsletter, another topic, another opportunity to talk about fish oils. Fish oils also reduce inflammation in the body, but they do so, not by blocking inflammation like the herbs do, but by taking the place of other, pro-inflammatory fats. You see, the body uses different fats as raw materials to make prostaglandins (ignore the name: the connection to the prostate gland is purely coincidental). Prostaglandins are sort of like hormones, except they work locally instead of dispersing throughout the whole body. Some prostaglandins promote inflammation; others suppress it. Classic anti-inflammatories such as aspirin, ibuprofen, ginger, and turmeric all work by blocking enzymes in the body that turn certain fats into certain prostaglandins. You’d think that the body would be pretty particular about regulating which prostaglandins get made. But that isn’t necessarily the case. In fact, it turns out, which prostaglandins the body makes is strongly influenced by which raw materials ? which fats ? happen to be lying around at the time. Think of it this way: if you have a kitchen full of junk food, you’ll eventually eat some of it. Simply because it’s there. On the other hand, if you have a kitchen full of fruits and vegetables, you’re more likely to eat the good stuff. Simply because it’s there. The same sort of thing goes on with prostaglandins. Herbal anti-inflammatories will work quicker than fish oils. In can take weeks or even months to incorporate adequate fish fatty acids into our cell membranes. But eventually, fish oils will work at a deeper, more holistic level. How much to take? Well, a lot depends on how much of the other, pro-inflammatory fats you need to balance out. This can get rather complicated, so let’s just say that the more grain-fed (as opposed to grass-fed) meat and cheese you eat, the more fish oil you need to balance it. For an average person with an average diet, I’d shoot for at least 1,800 mg of something called EPA per day. (EPA is the anti-inflammatory component of fish oil; you’ll see amounts listed on the back of the bottle). That’s the dose that research seems to indicate in rheumatoid arthritis, and I believe that it would translate well to MS, as both are forms of systemic inflammation. In addition to EPA, the other major anti-inflammatory fat is something known as GLA, found in evening primrose, borage, and black currant seed oils. GLA works well with fish oils. A standard dose is around 1,000 mg a day. Evening primrose oil gets the most press, but borage is just as effective, stronger, and cheaper. Perhaps the most researched natural treatment for MS (except for marijuana, of course) is alpha-lipoic acid. What exactly is alpha-lipoic acid? Well, alpha-lipoic acid (ALA) is kind of hard to pin down. On one hand, it’s an antioxidant. On the other hand, it functions as a coenzyme alongside the B-vitamins. It also binds to heavy metals such as mercury, cadmium, and lead, pulling them from the body. It even protects the liver from Amanita (death cap) mushroom poisoning. When a substance will protect you from something called the “death cap,” you know its good stuff! Alpha-lipoic acid is both water- and fat-soluble, meaning it can get practically anywhere in the body to work its magic. ALA also seems to have a broad affinity for the nervous system. It protects the optic nerve in glaucoma, the peripheral nerves in diabetes, and the central nervous system from damage by toxic chemicals. Once again, good stuff. Even alpha-lipoic acid, however, doesn’t have much “gold standard” research to back it in MS. There was one study from 1963, in German ? hard to find, as it was published using ALA’s archaic name, thioctic acid. Then, as far as I can tell, 39 years passed before anyone looked at it again. The only other research we have has been from the last five years. In one rat study, ALA prevented rogue immune cells from getting into the spinal cord. In a number of other rat studies, it appeared to help the symptoms of the rat version of MS. In a few test tube studies, ALA reduced the immune-driven inflammatory response central to MS. And in one small human trial, 14 days of ALA reduced blood markers of the disease. Put together, a few animal and test tube studies, and one 14-day human trial imply a lot, but don’t prove much. That being said, I feel strongly that alpha-lipoic acid is a sound and effective treatment option for MS. Everything about it simply makes sense. Every bit of research, however small, has been positive. I feel it’s too protective of the nervous system in too many ways (including Lou Gehrig’s disease, which is similar to MS) not to help here. A good dose based on the research, would be 600-1200 mg, twice a day. but not as effective as the other major form, methylcobalamin, which is more active in the body, especially in terms of neurologic issues. The research with B12 and MS is tantalizing, but still incomplete. 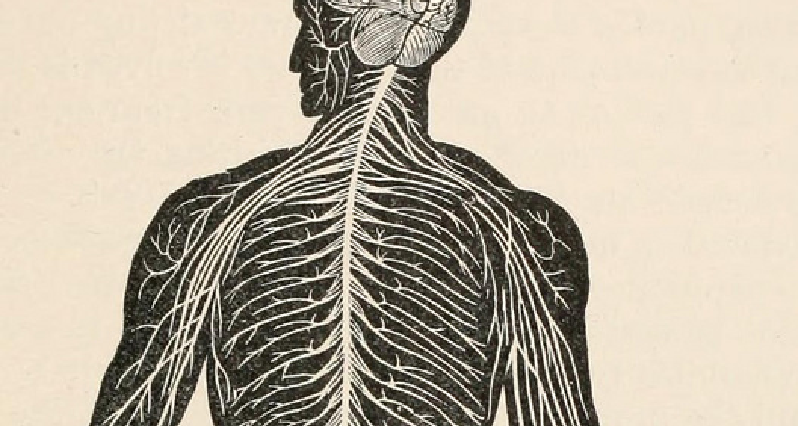 We know that MS patients tend to have low B12, that low B12 status often means getting MS earlier, that B12 is necessary to maintain a healthy myelin sheath… but we don’t know if actually giving B12 to MS patients will actually help anything. As far as I can tell, the research just hasn’t been done. Without any hard data ? yet ? this one still looks fairly promising to me. is worth looking at. The evidence is circumstantial, intriguing signs that vitamin D deficiency is linked to increased risk of developing MS, and other evidence that sufficient D blunts autoimmune disease. None of this constitutes proof, of course, that D can alter the course of the disease, but consider these three facts: 1) many northeasterners are deficient in vitamin D, especially in winter; 2) vitamin D is dirt cheap; 3) there are myriad side benefits, including prevention of osteoporosis, cancer, and seasonal effective disorder. Why not try 2,000 i.u. a day of D3 (not D2, which may be less effective and also harmful in higher doses) during darker, wintry months.